The 1970s were a cataclysmic decade for South American football. World Cup triumphs for Brazil and Argentina went some way to masking the huge stylistic changes that were enforced upon the continent’s national teams by tactical development in Europe. Brazil’s seminal class of ‘70 are often eulogised as the best side to ever step onto a football field whilst Menotti’s high-tempo version of the traditional Argentine passing game saw the host nation (literally) brought up to speed with developments in the European game. Between these two triumphs came a transitional for the traditional powers, with the most notable lesson coming at the 1974 World Cup in West Germany where the pace and fluidity of Total Football made even Brazil realise that fundamental change was necessary. The decade also saw an unlikely golden period for one of the continent’s perennial also-rans. For most, the Peruvian side of the 1970s conjures up memories of its alleged collusion with the Argentine military junta at the 1978 World Cup (they capitulated 6-0 to Argentina in a game Argentina needed to win by 4 clear goals). Another abiding memory (particularly for Scottish fans) was the sublime outside of the boot free-kick by Teófilo Cubillas. The Peruvian’s moment of inspiration set the tone for another uphill struggle for the Tartan Army and left Ally MacLeod’s infamous boast that his team would win the World Cup then retain it look rather hollow. The rest of the Scottish campaign would pan out in familiar fashion, from the downright dreadful 1-1 draw with Iran, to the traditional glorious failure overcoming an excellent Holland side 3-2 with Archie Gemmill’s solo strike (immortalised in Irvine Welsh’s Trainspotting) proving decisive. Our collective memory of old games, of course is often limited to major moments in games or to what we want to remember: a few seconds of genius, like the Cubillas free-kick, or the Gemmill wonder-strike, and failing that it tends to be distorted by petty nationalism, personal bias or bombastic media exaggeration of events. The Peruvian side of the 70s, perhaps owing to their lack of success before and after, are subject to the latter tendency. Media hyperbole in their homeland has contributed to making them untouchables, elevated to legend status as an example of how the game should be played thus extrapolating fact from myth becomes increasingly difficult. Fortunately for them, they left irrefutable evidence of their calibre in the 1975 Copa America triumph, defeating Brazil in Belo Horizonte along the way before finally despatching Colombia in the final at the 3rd attempt in a play-off game, bizarrely played in the then football backwater of Caracas, Venezuela. The exploits of the 1970s Peruvian national team at the World Cup and in the Copa America both came at difficult moments for the impoverished Peruvian people. Just days before the 1970 World Cup Peru suffered a devastating earthquake that left some 70,000 people dead and over a million homeless. Cubillas, in an interview years later, spoke of how he felt that, though trivial by comparison to the 1970 tragedy, he and his team-mates felt that they had, at least, done something to raise the spirits of his people in their darkest hour. 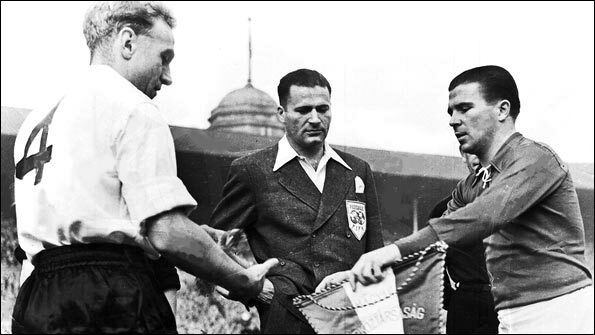 The Peruvian side qualified for Mexico ’70 by eliminating the Argentines in their own backyard and after cruising through the group stage went down 4-2 in an exhilarating showdown with neighbours Brazil. They proved it was no fluke in Argentina ’78 gaining a hugely creditable draw with finalists Holland on the way to the qualification for the second group phase, where they strangely capitulated against the hosts. On each occasion they reached the last eight and even the notoriously cynical Peruvian media had to concede that the team’s performance had been a success. In the year of the 1975 Copa America triumph Peru played against the backdrop of a right-wing military coup known as El Tacnazo (so named as it occurred in the Southern City of Tacna) with human rights looking more fragile by the day and spiralling political instability that would wind up in the emergence of a hugely contentious Maoist Guerrilla insurgency, Sendero Luminoso (Shining Path) by the end of the decade. The Peruvian side gave the nation something to be proud of on the international stage, and provided a much needed distraction from events in their homeland. In the 1970s Peru had a collection of players genuinely capable of not only beating anyone on their day, but matching anyone in the style stakes too, with their eye-catching, imaginative one-touch football. Indeed the 3-1 victory over Brazil in the 1975 Copa America was achieved not with the negative style many have employed to neutralise the Verde-Amarelo, but ‘fighting fire with fire’ taking the game to the world’s most emblematic football nation. Peru’s midfield was touted as being the best in the world at the time with Hugo Sotil, who won a La Liga title in the same team as Johan Cruyff at Barcelona, Teofilo Cubillas, the country’s all-time leading goalscorer and most loved player and finally César Cueto, known as el poeta de la zurda, which literally translated would be the left-footed poet, but perhaps more idiomatically in equally nonsensical English footballing parlance might be something like ‘he of the cultured left-foot’ (an expression we often use in English, presumably to acknowledge that the foot was fully versed in all seven volumes of Proust’s À la recherche du temps perdu). Allied to this assortmentof flair players, the back line was ably marshalled by the man unpromisingly nicknamed el ciego (the blind man) so named on account of his acute myopia, (he wore contacts on the pitch, he was actually rather good) Juan Carlos Oblitas and El Capitán de America (America’s Captain, not to be confused with this Captain) Héctor Chumpitaz. By the 1982 World Cup, held in Spain, the powers of the golden generation were beginning to dwindle. After a disappointing stalemate with Cameroon and a creditable 1-1 draw with eventual winners Italy, Peru were torn apart by the stylish and incisive Polish duo of Lato and Boniek losing 5-1 and sadly haven’t been seen at the tournament since. Cubillas remains to this day one of only two players who have scored 5 goals at two World Cups, the other being Miroslav Klose. The fleeting nature of Peru’s success, one fears, can be linked to the desperate state of the country’s club game. It is no coincidence that none of Peru’s club sides has ever won the Copa Libertadores, and the country has only one Copa Sudamericana, won by provincial Cienciano as late as 2003. The Peruvian League has been won three times in recent years by a university team that only formed in 2004. Universidad San Martin de Porres have recently pulled out of the Peruvian League in protest at the ineptitude of the Peruvian FA and the unchecked amassing of debts by the traditional big clubs like Alianza Lima. The current travails in the financial administration of Peruvian club football go some way to explaining why youth development and Peru’s national team have been in stagnation for so long. 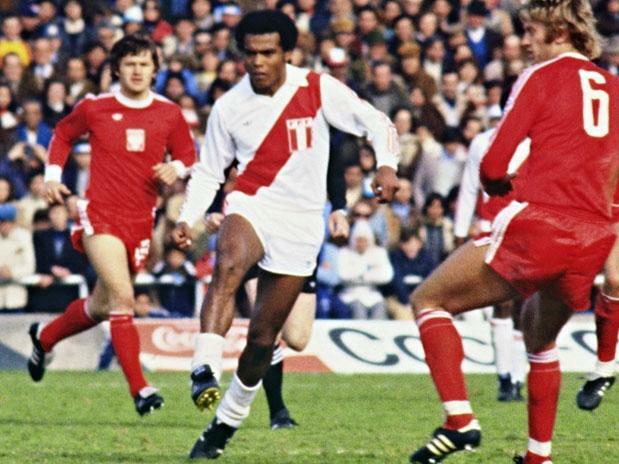 Cubillas, an increasingly influential figure in the Peruvian game, speaks highly of the technical level of the current Peruvian players, arguing that players like Farfan, Pizarro and Guerrero are every bit as good as their predecessors. However, surely the more pressing problem is the administration of the clubs, which has seen de-motivated players go unpaid for months and as an inevitable consequence the country’s clubs have become less competitive in continental competition. 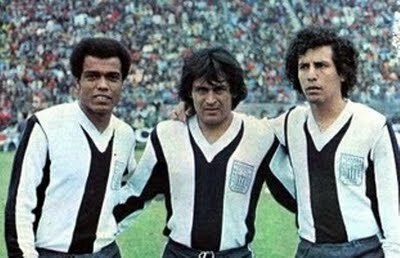 Despite the complex panorama of Peruvian Football, Cubillas continues to repeat the comment he made the day he retired from the game, leaving no doubt about his national pride and summarising the spirit of his team: ‘Si volviera a nacer volvería a jugar a la pelota, empezaría en el Alianza Lima y volvería a nacer en el Perú (If I could be live my life again I wouldn’t change anything, I’d be a footballer, I’d be Peruvian, and I’d start at Alianza Lima)’. Peru’s golden generation more than merit their place in Latin American Football folklore. Each year from 1963 to 1980 at least one Argentine team contested the final of the Copa Libertadores. At no time was the Argentine stranglehold on the competition more evident than the golden years of Independiente from 1972 to 1975. In the same way, arguably, no one player has made as profound an impact on the competition (before or after) as El Bocha, Ricardo Bochini. Outside Independiente’s newly renovated home Estadio de los Libertadores de America a street carries the name of the great man. As we speak they are working on the Bochini Stand at the stadium, in between worrying about the ignominy of life outside the top flight for the first time in their history. The man they knew as el duende rojo was every inch an unlikely hero. Jorge Valdano, stumbling for an appropriate phrase to describe such a unique talent, famously described him as ‘Woody Allen playing football’. Bochini certainly wasn’t the most athletic specimen to grace a football pitch, nor was he the fastest of players. Clearly his strength lay in his cerebral brilliance in the middle of the park measuring inch perfect slide rule passes into the front men, and slaloming gracefully past players as if they weren’t there. Whilst the legend of El Bocha is, alas, largely unknown outside Argentina, you would be hard pressed to find an Independiente fan, or indeed any reasonable minded Argentine fan, who would exclude the influential enganche from the canon of Argentina’s all-time greats. Bochini was a one club man who achieved all he could dream of and more besides in two glorious decades with one of Argentina’s proudest clubs. His pomp, clearly, was in the early 70s, when Independiente swept all before them in the years of Argentine dominance in the Copa Libertadores. As many Argentines would tell you, particularly those from Avellaneda, Independiente were the first Argentine team to really make their mark on the competition, and remain the one club that is truly defined by its Libertadores success. As with international competition on the continent, the first out of the blocks were the Uruguayans. Peñarol triumphed in the first two editions (1960 and 1961) of the competition and reached the final for the third consecutive time in 1962 only to be thwarted by a brace by a young man called Edson Arantes do Nascimento for Santos in a third play-off game. Boca Juniors became the first Argentine finalists in 1963 but were found wanting in the final againstfthe genius of Pelé and Coutinho. Independiente would go one better a year later. They ended the two-year reign of the Santos of Pelé and Coutinho, knocking them out in the Semi-Final stage before defeating Montevideo’s Nacional in the final. They went on to retain it the following year against Nacional’s great city rivals Peñarol, and in doing so, opened the way for the exploits of Avellaneda rivals Racing Club and the provincial world conquerors Estudiantes La Plata later in the decade. Estudiantes de La Plata won an incredible hat-trick of Libertadores victories and an Intercontinental Cup victory over Manchester United at the end of the 1970s. As with the ‘Dirty Leeds’ side of the 70s in England, the collective memory of media coverage has perhaps done a disservice to a team not lacking in merit, but there is little doubt they were not averse to the uglier side of the game. Though Independiente’s breakthrough victories (worthy of a post in their own right) came in the sixties, their zenith was clearly their four consecutive victories in the 1970s. It seems inevitable that one day Boca Juniors will better Independiente’s record seven Libertadores victories, the one record that may elude them for some time is that of winning four consecutive Libertadores trophies (or even Estudiantes three for that matter). Of all the truly emblematic Copa Libertadores teams, Independiente are also the only one that has never lost a final, triumphing seven times without defeat. From an Anglo-speaking world perspective, it may seem reasonable, especially with Alex Ferguson’s retirement fresh in the mind, to ask which manager led the Independiente dynasty of remarkable triumphs over the rest of the continent. In reality, much like Real Madrid’s triumphs in the early years of the European Cup, there was no Fergiesque dynasty of continuity to explain the team’s success. Independiente’s South American consecutive champion-winning sides, incredibly, were managed by three different men. The first of Independiente’s four consecutive Libertadores came in 1972, when Pedro Dellacha oversaw a narrow 2-1 victory over surprise package Universitario of Peru (who had made the final at the expense of much fancied Peñarol and Nacional). Eduardo Maglioni scored a crucial double in the return game in Avellaneda after a tense stalemate in Lima. A year later the same player would bag a record-winning hat-trick in one minute and fifty one seconds on the third week of the Torneo Metropolitano against Gimnasia La Plata. In the intercontinental games against the champions of Europe, Los Diablos Rojos went on to draw with the imperious Ajax of Cruyff, Neeskens and Keizer, before finally succumbing to genius as a young Johnny Rep came off the bench to bag a brace in a comfortable 3-0 victory in front of a spellbound crowd at Amsterdam’s Olympic Arena. As popular unrest grew the following year (1973) populist ex-President Juan Perón saw his opportunity to return from exile in Spain, though he was technically barred from participating in the election, which the military had begrudgingly allowed, to find a new president. He returned to a complex panorama of left and right-wing Peronists jostling for power within the movement. The complex but characteristically Latin American cult-of-personality that he (and his wife) had spawned saw thousands of Argentines of diverse political persuasions gather at Ezeiza airport to greet his return. Unfortunately camouflaged right-wing factions of the Peronist movement opened fire on Montoneros (left-wing Peronists) and members of the Peronist youth leaving an unknown number dead, in an incident that as yet has not been fully investigated. The premeditated attack proved effective in de-stabilising the moderate left-wing administration of recently elected Héctor Cámpora, who had recently taken power. So just eleven days after a CIA-supported coup had ousted elected left-wing leader Salvador Allende in neighbouring Chile, a new set of elections would have to be held after foul-play in Argentina. The tragedy was symptomatic of a dark period in Argentine history, which ironically coincided with some of the country’s finest moments on the football field. A nationalistic inward-looking mentality prevailed, making Argentina a hostile place to visit for opposing teams. Amidst the off-field turbulence, Independiente regrouped and thrived to retain the Libertadores trophy the following year. In order to do so they would first meet a side from Chile, which was also deeply divided by the highly controversial Pinochet coup. The series of three games put on by the two sides produced one of the most memorable and tense finals in Libertadores history. In the days before the now ubiquitous penalty shoot-out was viewed as a necessary evil to decide drawn games, Independiente finally saw off a spirited Colo Colo outfit in a play-off game, played in neutral Montevideo after two fiercely contested games watched by volatile crowds in Argentina and Chile failed to separate the sides. 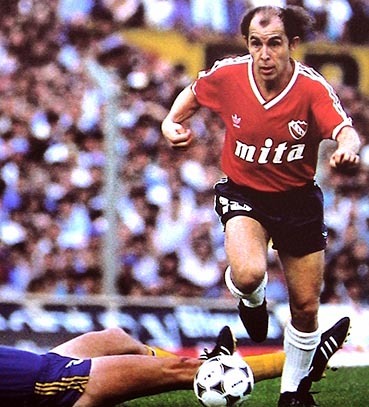 Independiente, then, would represent the continent against Europe’s finest once again. This Intercontinental Cup Final game provided the moment that the team is most remembered for on both sides of the Atlantic. La Roja came up against European runners-up Juventus. Ajax, the champions of Europe, had pulled out citing economic difficulties, which some believe were a pretext for their distaste for both the brusqueness of the Argentine football and the political situation within the country. This would be a precursor for Johan Cruyff’s non-participation in the 1978 World Cup in Argentina, as the political situation spiralled out of control. Star players Ricardo Bochini and Daniel Bertoni expertly exchanged three one-twos which left the experienced Italian defenders standing before Bochini, slotted away the goal that saw Independiente crowned champions of the world for the first time. Independiente triumphed narrowly by a goal to nil, leaving Rome’s Olympic Stadium in shock. The Argentine press christened the goal ‘la pared que cautivó al mundo (the one-two that captivated the world) and the orchestrators of the goal ensured their place in history. ‘En aquel tiempo, mientras me iba formando como jugador, estaba enamorado de Bochini. Me enamoré terriblemente y confieso que era de Independiente en la Copa Libertadores, a principios de los setenta,¡Bochini me sedujo tanto! Bochini. y Bertoni. 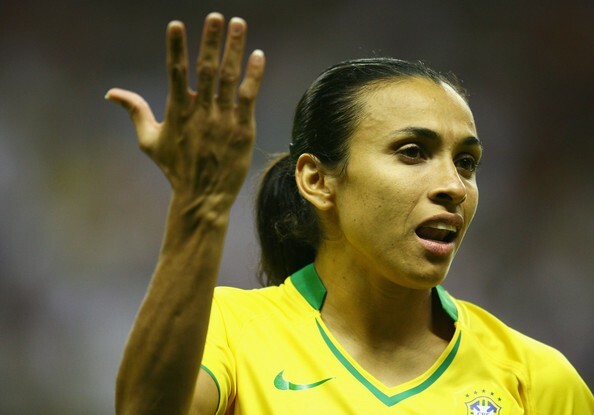 Las paredes que tiraban Bochini y Bertoni eran una cosa que me quedó tan grabada que yo las elegiría como las jugadas maestras de la historia del fútbol.’ (Back then, in my formative years as a player, I was in love with Bochini, and I confess I was an Independiente fan when they played in the Libertadores, at the beginning of the seventies, Bochini(‘s style) seduced me! The one-twos that Bochini and Bertoni played stuck in my mind, and I’d put them amongst the greatest pieces of play in the game’. El Bocha’s foil right-winger Bertoni went on the shine in Cesar Luis Menotti’s cavalier crowd-pleasing 1978 World Champions scoring the third goal against Holland in the final to ensure Argentina’s first World Cup triumph at River Plates’s Estadio Monumental. 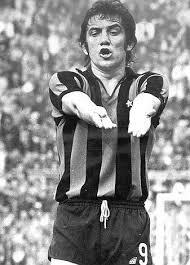 Bochini, on the other hand, along with a young Diego Maradona were surprisingly overlooked. For that reason, years later when Bochini was finally given his chance in the dying minutes of 1986 World Cup Semi Final against Belgium, Maradona remembered his idol’s 1978 torment and warmly welcomed him onto the field ‘Maestro, lo estábamos esperando’ (Teacher, we were waiting for you.). When a Boca fan as partisan as Maradona recognises a player from a rival team, it is with good reason. The frontman of Argentine rock-band Bersuit Vergarabat (catchy name? they are good honestly) likens Bochini’s nimble style to that of a dancer and assured El Grafico that: ‘Bochini es un verbo para mí, bochinear es pensar antes que los demás. No hubo un tipo en el mundo con esa velocidad mental.’ (Bochini is a verb for me, bochinear is to think before everyone else. There’s never been anyone in this world with his mental speed). He goes on to add that Javier Pastore knows how to bochinear at times. High praise indeed. Argentine football has always been subject to crude dichotomisation between its artistic, aesthetic side and its uglier more pragmatic characteristics, between the same amateur spirit that prizes entertaining the masses over the win at all costs mentality. Argentina’s two World Cup winning coaches achieved their great successes playing the game in the way they saw fit, and in doing so provided the framework for the Menottismo and Bilardismo, once again carrying the names of those who supposedly personify a distinct ideology worthy of being followed by the masses. This kind of thinking, in some quarters, is increasingly seen as antiquated, mawkish or unrealistic, as the pragmatism of Bilardismo is evident in many of the games great coaches like Mourinho, and in many of the young breed of Argentine coaches like Simeone. Argentine writer Roman Iucht, however, sets about the considerable task of examining ‘el ultimo romantico’ (the last romantic) in a fascinating biography of Marcelo Bielsa. It has to be said of course, that Bielsa has a number of disciples operating in the game now, and that the classic Argentine style has had a profound influence on no less than Pep Guardiola, who looks to continue where he left off with Barcelona on his new adventure in Bavaria. 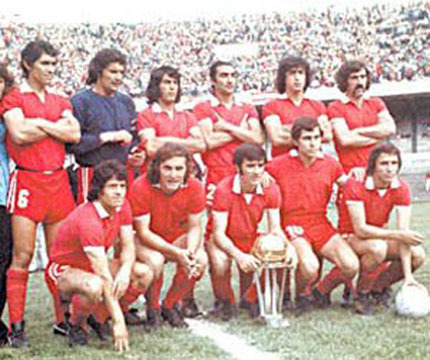 Returning to the exploits of Los Diablos Rojos of Avellaneda, the team continued from the Juventus triumph under Roberto Ferreiro, again reaching the final in 1974, defeating São Paulo. After a narrow defeat Independiente forced another play-off game after victory after winning at their Avellaneda fortress. This time, the play-off game was played in Chile, against the backdrop of the infamous Pinochet coup the year before. In Santiago’s national stadium, Uruguayan left-back Ricardo ‘El Chivo’ Pavoni netted the only goal, to seal a third consecutive Libertadores triumph. In 1975 Independiente once again faced a trip to Santiago’s National Stadium, to face Union Española, a game they lost, only to force yet another play-off with a comfortable victory in Buenos Aires. The historic 4th consecutive Libertadores was secured, once again on neutral territory in the hostile surroundings of Asunción’s Estadio Defensores del Chaco. Paraguayans have a long-running grievance with Argentines, dating back to a loss of territory in the Battle of the Triple Alliance in the 1800s. Daniel Bertoni and Ricardo Ruiz Moreno netted to silence a largely pro-Chilean crowd of 55,000 spectators. Critics of Independiente’s golden period correctly point out that, as defending champions, la roja benefitted from the privilege of entering the Libertadores at the semi-final stage. It is certainly worthy of mention, but surely the criticism falls squarely at the door of football’s authorities rather than as any kind of denigration of the achievements of a great side. Equally it would be difficult to argue that the current seeding systems used in many club and national competitions are anything other a transparent measure to protect commercial interests and ensure the participation of the big guns in the final rounds, guaranteeing high television audiences and all the lucrative spin-offs. For good measure Independiente added narrow victories over Olimpia of Honduras (1973), Deportivo Municipal of Guatemala and finally Atletico Español of Mexico (1976) in the now defunct Copa Interamericana, a celebration of Inter-American solidarity that was brought to an abrupt end by being embarrassingly gate-crashed by a gringo victory in the shape of DC United in 1998. Bochini would go on to finally win Argentine player of the year in 1983 and to star in Tokyo in the Intercontinental Cup final of 1984 against Joe Fagan’s Liverpool. By then under the stewardship of Pastoriza, the Independiente line-up would boast a number of International players including Giusti, Burrachaga and Pedro Monzón. Jose Percudani beat Bruce Grobelaar to notch the only goal of the game, winning another famous victory. For reasons too numerous to name, one side triumphing year-on-year in this way seems a near impossibility in the modern game. Only maybe the Real Madrid of Puskas and Di Stefano have achieved a similar feat in European football, and in comparison to the modern day greats, even the imperious Barcelona of Messi, Iniesta and Xavi, with their tiki-taka possession-dominating, have never managed to retain the Champions League. The Independiente of El Bocha, Bertoni and Pastoriza will always be fondly remembered in Avellaneda and beyond, and may always hold some small bragging rights over their big city rivals. They have had a pivotal role in the rich history in Argentine football, from Raimundo Orsi (one of the infamous oriundi), through to Sergio ‘Kun’ Agüero’s debut in the Argentine top flight at the tender age of 15. They played ‘tiki-taka’ decades before some daft Spanish commentator coined the phrase, and even held the affections of an impressionable young shantytown dweller called Diego for a while. Bochini goes some way to explaining his relative anonymity outside his homeland with the following statement made during an interview with Argentine television, ‘Si hubiera hecho en Boca lo que hice en Independiente, la popularidad hubiera sido el doble’ (If I’d done with Boca what I did with Independiente, my popularity would have been double.) Whilst there is a hint of hyperbole to the maestro’s statement, he articulates the frustrations of millions of Argentines tired of an ever increasingly Boca-centric view of national football, perhaps by extension of fans in other countries where mass media tends to focus on a couple of sides. Such is the all-consuming passion/media hype surrounding the Xeneizes, few would even notice that to this day the most successful side in the Libertadores remains the Red Devils of Avellaneda. Cagliari Calcio are an altogether unremarkable football club. For much of their existence they have been a yo-yo team, alternating between promotion and relegation and oftentimes languishing in the rustic depths of the Serie C, the third tier of Italian football. In their 93 years of existence they have conquered just one piece of silverware, a lone Scudetto won in 1970. In those brief glory years they were led by the inspirational Gigi Riva, the all time leading goalscorer of the Italian National team. Since their latest promotion to the top flight in 2004 they have managed to stave off relegation but have been in a perpetual state of purgatory; too far off the top to the table to harbor realistic European ambitions, yet too far from the bottom to risk a return to Serie B. Their record is, for the most part, unexceptional. Yet in a curious episode long forgotten in the annals of football history, for a brief period of time they were known as the Chicago Mustangs. For one fleeting summer, Cagliari Calcio, the team from the picturesque Mediterranean island of Sardinia, used Comiskey Park on the South Side of Chicago as their home ground. This is their story. The national team was not faring much better. 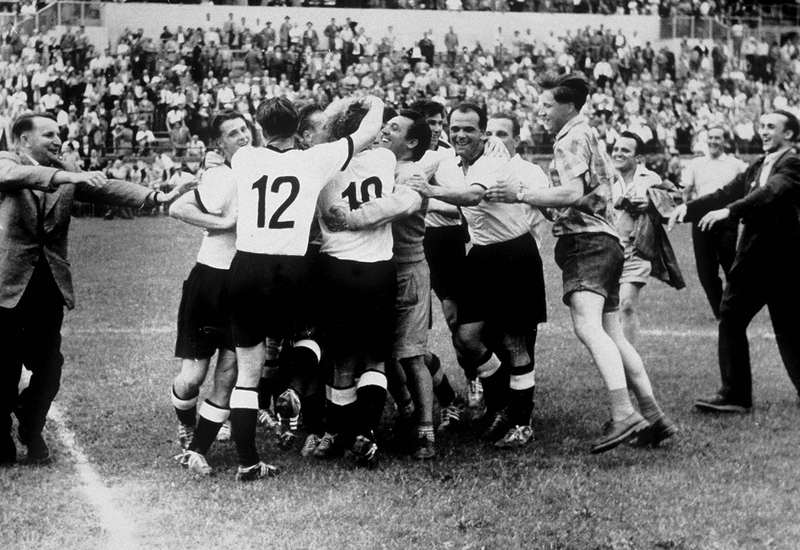 Following the heroic victory over England at the 1950 World Cup, the USMNT failed to qualify for the competition for the next four decades. The lone qualifying spot allocated to CONCACAF in the years 1958-78 almost inevitably went to Mexico; the Americans were seldom even in the hunt. And yet, in spite of this dismal state of affairs, the following year saw the creation of not just one, but two more professional leagues in the country. Clearly past failures were not enough to discourage sporting entrepreneurs such as the aforementioned Bill Cox from attempting to rekindle interest in a sport that, with the exception of immigrant communities in urban centers, had never really caught on in the country. In May of 1966 Cox and a consortium of baseball and American football franchise owners announced plans for an 11 team league to be known as the North American Professional Soccer League. Shortly afterwards two other groups also disclosed their intentions to create professional leagues: the National Soccer League, led by Richard Millen, and the United Soccer Association, led by Jack Cooke. The USSFA, under pressure from FIFA to get the new league up and running quickly, pressed the delegations to merge their respective leagues. But the powers-that-be refused to compromise and went forward with their own projects. In addition, USSFA’s announcement that in return for their official sanction they would demand a hefty $25,000 licensing fee from each club and a significant portion of gate receipts and television money did little to promote cooperation between the various parties. That summer, as the controversy over which league would receive the USSFA’s seal of approval continued unabated, NBC broadcast the World Cup Final. The financial windfall from the tournament whet the appetites of the bigwigs and only exacerbated their obstinacy. Bill Cox and Richard Millen eventually merged their proposals to create the National Professional Soccer League (NPSL) and so in 1967 two leagues, the United Soccer Association (USA) and the NPSL, began operations. The former league had the approval of FIFA while the latter did not, and thus players who signed with NPSL clubs faced sanctions from the world governing body. The NPSL was promoted as an ‘American’ league, though in reality only eight American citizens in total were included in the rosters of the 10 sides, and of these just three were born in the United States. Players and coaches were haphazardly recruited from European countries; with the NPSL executives in such a rush to get things started, there was little time to invest in proper club infrastructure. The NPSL also landed a CBS television contract for a nationally televised match of the week that, despite not being particularly profitable, lent credibility to the endeavor. On April 16, 1967, the NPSL kicked off in Baltimore, where the hometown Bays defeated the visiting Atlanta Chiefs 1-0 in front of 8,434 fans. The USA originally planned to launch in 1968 but, wary that the NPSL had seized the momentum, decided to begin play in the same year. Instead of dealing with the hassle of building teams from scratch, USA directors came up with a novel idea: import European and South American teams to play in the league during their offseason. The imported teams were marketed to fans as twelve of the best teams in the world, but this was pure hyperbole. Glentoran of Northern Ireland, rebranded as the Detroit Cougars, were the only side to have finished as champions in the previous edition of their domestic championship. Other ‘powerhouses’ include Shamrock Rovers of the Republic of Ireland (Boston Rovers), 7th in the League of Ireland; Club Atlético Cerro (New York Skyliners), 3rd in the Uruguayan Primera División; and Wolverhampton Wanderers (Los Angeles Wolves), 2nd in the English Second Division. The world’s elite, these were not. Cagliari Calcio, 6th in the previous edition of Serie A, were renamed the Chicago Mustangs. Supposedly teams were allocated to cities based on their ethnic makeup, and given Chicago’s substantial Italian community in this case the decision appears logical. The same cannot be said, however, of placing an Uruguayan team in New York or a Brazilian team in Houston. To further demonstrate the almost-satirical tone of the article, Condon also calls Athletic “the Bilbaos,” and Cagliari “the Cagliaris,” apparently oblivious to non-American team naming customs. 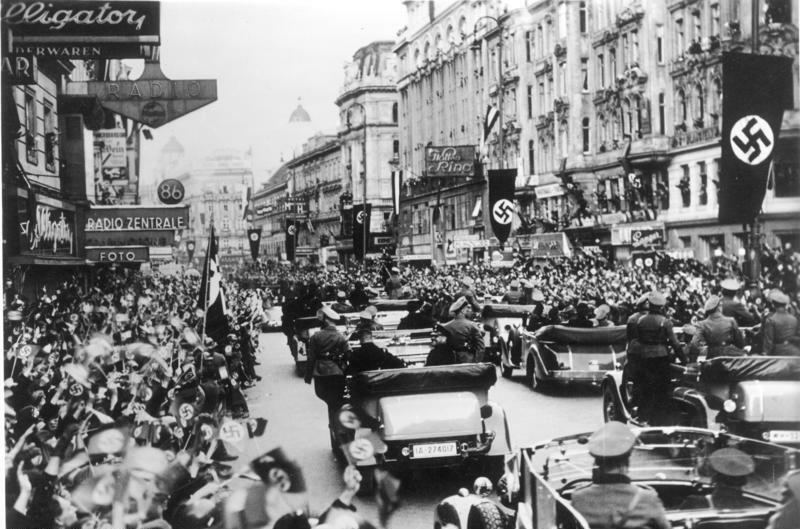 An Athletic Club player is referred to as the “secretario of the Spanish eleven,” and it is suggested that the fireworks display at halftime left Red Star Belgrade scrambling for cover, apparently convinced that the Russians were attacking. 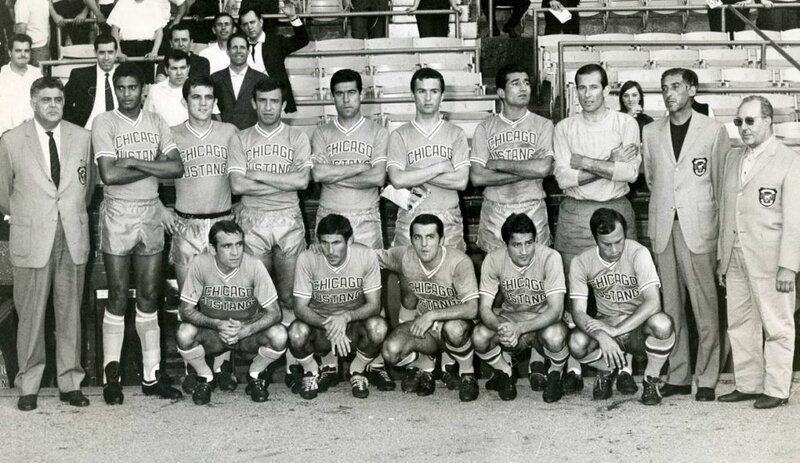 Later in the interview, after listing off the roster of Cagliari, Huber stressed that “not all the players I named are coming to play in Chicago, we don’t know which players they’ll bring.” As it turned out, Cagliari’s star striker Gigi Riva was not one of them. An inauspicious beginning, to say the least. 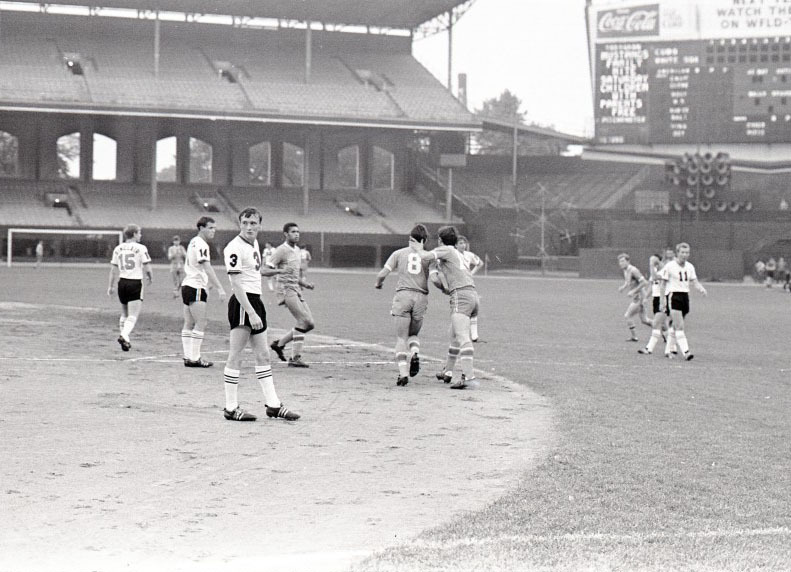 And so on May 28, Cagliari Calcio played their first ever match as the Chicago Mustangs against Dundee United (Dallas Tornado) in front of 9,872 people at Comiskey Park on the city’s South Side. The only goal of the match was scored by Dundee’s Danish striker Finn Dossing in the 64th minute, giving Dallas the 1-0 victory. The opening match set the tone for the rest of the season. The Mustangs drew their next two matches and only got their first victory in their fourth fixture, a 3-2 victory over the New York Skyscrapers (Uruguay’s Club Atlético Cerro). They had blown a 2-0 halftime lead in five second half minutes, but were rescued in the 72nd minute by Roberto Boninsegna’s individual effort. Boninsegna was without a doubt the Mustangs’ star performer of the campaign. He was the leading goalscorer of the USA with 10 goals and 1 assist, giving him 21 points in total as goals were worth double. Two years after his stint with the Mustangs he would transfer to Internazionale and go on to feature in the 1970 World Cup, where he scored Italy’s only goal in the famous 4-1 final defeat to Brazil at the Azteca and twice finished as top scorer in Serie A. The Mustangs in action at home against the Detroit Cougars. 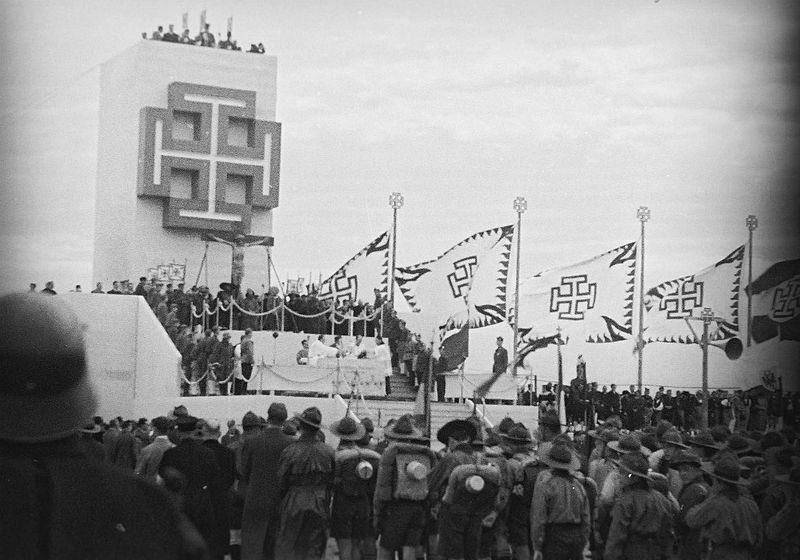 Note the empty stands. Cormack followed through on his threat and duly got sent off. Nine minutes from time the referee totally lost control of the match. Toronto’s Colin Grant put his side up 3-1 with a free kick, but the Mustangs protested that they were still in the process of setting up the wall. The referee refused to order a retake, and the Chicago players walked off the field in protest. A pitch invasion ensued, and the referee and his assistants were both brutally attacked by the fans. According to Grant the Mustang players tried to get into the Toronto changing room. The tiny police presence was powerless to stop the riot. The game was abandoned, the final scored declared to be 2-1. Common sense finally won out, and the two leagues were merged in December, creating the North American Soccer League. But by that point, the Chicago Mustangs had announced that the roster for the 1968 campaign would be entirely American. Importing teams proved to be a failed experiment. The Sardinian Summer was over. The Mustangs survived for one more campaign. In 1968, the debut season of the NASL, they finished second in their division but failed to qualify for the playoffs. 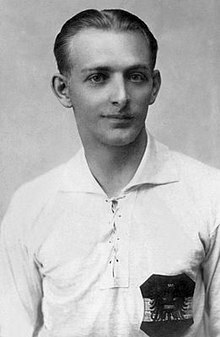 That season they once again boasted the league leading goalscorer, the Polish-born Janusz “John” Kowalik, who scored 30 goals and registered 9 assists in just 28 matches. The following year the NASL was reduced to just 5 teams, and the Chicago Mustangs instead joined the semi-professional National Soccer League. Not until 1975 and the founding of the Chicago Sting would the Windy City once again experience professional soccer. The United Soccer Association and the importation of foreign teams represents a failed yet curious chapter of American soccer history. How unlikely is it that Roberto Boninsegna, World Cup runner up and three time Serie A winner, at one point in his career plied his trade right off the Dan Ryan Expressway on the South Side of Chicago, where the White Sox used to play? Cagliari Calcio may not have left much of a legacy in Chicago, and this episode of their history may be largely forgotten, but the sporting histories of these cities are now inextricably tied together.